Mango nic salt juice from Skwezed is a smash hit here at the Electric Tobacconist! 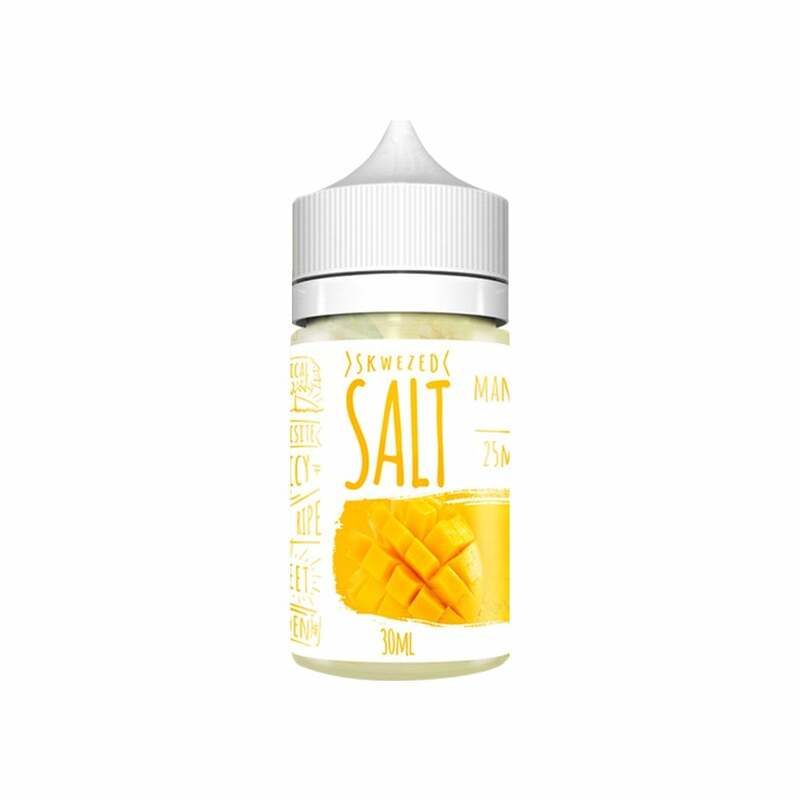 If you love the taste of mango hi-chew then you're going to love this nic salt that's full of juicy mango flavor, all squeezed into a 30ml nic salt that adds an extra level of satisfaction to every hit. Skwezed Mango nic salts are available in 50mg (5.0% nicotine), and 25mg (2.5% nicotine) and are compatible with your favorite pod mod. DISGUSTING! Aftertaste was like gas. Do not recommend at all. This juice has an amazing flavor but it burns through coils super fast. I used two different vapes with the same result. I was so disappointed because the taste was great but unfortunately, the coil situation will prevent me from buying this again. 18th March 2019 - T.
This juice is so full of flavor it literally taste like you are biting into a mango. Love mango flavors but didnt like this flavor at all. has a strange after taste. I cant quite out my finger on it. Taste so good, mango is my favorite. Switched from Juul to this, and this is better. The hits are smooth, strong, and flavorful. Definitely my top juice, will order again. Flavor is decent, a bit under powering but overall smooth and keeps my pods going. The juice is good, and the service is top notch. Updated me every step of the way, and shipped damn near immediately. Got it in 2 days after order. My new go to for juice and pods. Thanks guys. Holy cow this flavor is so amazing it’s crazy, I switched to a refillable cartidge to stop spending so much money on juul, but wow did this mango flavor exceed my expectations, highly recommend even smells amazing.